HRc48-54. Resistance to wear, gas corrosion and oxidation. Hardfacing of bucket tooth and case pump. HRc38-47. 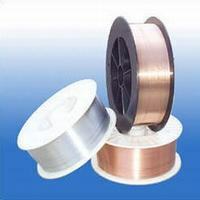 Resistance to wear and corrosion at high-temperature. Hardfacing of high temperature and pressure valve. HRc45-50. 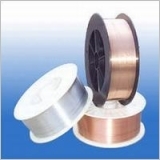 Resistance to wear and corrosion at high-temperature. Hardfacing of valve and hot-rolling pass. HRc≥55. Wear and heat resistance at high temperature, bad shock resistance. Hardfacing of screw charging carriage. HRc≥53. Wear and heat resistance at high temperature, bad shock resistance. Hardfacing of three-cone bit. Good mechanical properties and crack resistance. Gas welding and argon arc welding of red copper. Good mechanical properties. Argon arc welding of copper alloys and MIG brazing of steel. Wear resistance. Argon arc welding of copper alloys and surfacing of steel. Wear and corrosion resistance. Argon arc welding of copper alloys and surfacing of steel. Melting point is about 890℃. Gas welding and carbon arc welding of brass, also braze welding of copper, steel and cast iron. S221 welding rod coated with flux. Melting point is about 880℃. Gas welding and carbon arc welding of brass, also braze welding of copper, steel and cast iron. S222 welding rod coated with flux. Melting point is about 900℃. Braze welding of copper, steel and cast iron. Melting point is about 905℃. Gas welding and carbon arc welding of brass, also braze welding of copper, steel and cast iron. Melting point is about 935℃ and high strength. Braze welding of steel, nickel and carbide alloys. S225 welding rod coated with flux. Melting point is about 900℃. Gas welding of brass, also braze welding of copper, steel and cast iron. Melting point is about 920℃, high strength. Braze welding of steel, nickel and hard carbide. Good ductility and corrosion resistance. Gas welding and argon arc welding of pure aluminum. Corrosion resistance, wide range of usage. Gas welding and argon arc welding of aluminum alloys other than high magnesium alloys. Good corrosion resistance, weldability and ductility. Gas welding and argon arc welding of aluminum alloys. Corrosion resistance and high strength. Argon arc welding of aluminum alloys.